The average consumer uses between one and five social media accounts, according to the Pew Research Center. One of the largest complaints of users is that they find it difficult to have a single ID between the different accounts. LinkConnects has released a new service that places all of one’s profiles under a single page. There are four types of accounts being offered on the site: personal, business, government, and Apps. The service also eliminates the frustration when a username is not available across all platforms. Multiple languages are supported on the website as well. Once a person applies for an account, they are able to link all of the profiles under one place. The service only takes a few minutes to sign up for, and makes it possible to sign up with Twitter, Facebook, Google+ and Email, the links includes facebook, tumblr, Youtube, as well as dozens of other profiles, ranging from Fiverr to BBM to Skype. “Nowadays, social media has become an integral part of our lives. Most people check their Facebook, Twitter or LinkedIn profile every day in order to stay updated on the latest news in their industry. and most of them end up having numbers of social network accounts that they wish to share it easily”, comments Ahmed Al Zarouni LinkConnects Founder. After a profile has been created for a person, it takes minutes for all profiles to be linked together. There has been a significant amount of focus on safety and security as well. Once a LinkConnects profile has been created, it's just a matter of minutes to link all social profiles together. “This has made my life infinitely easier. Once I add my social media accounts into LinkConnects, There’s no longer a need to share them one by one” says Ismail, a site user based out of Al Ain. “This service saves our marketing team a lot of time and effort. “We only need to place our LinkConnects link in our marketing materials which will point users to our social sites without the need to write them all out. 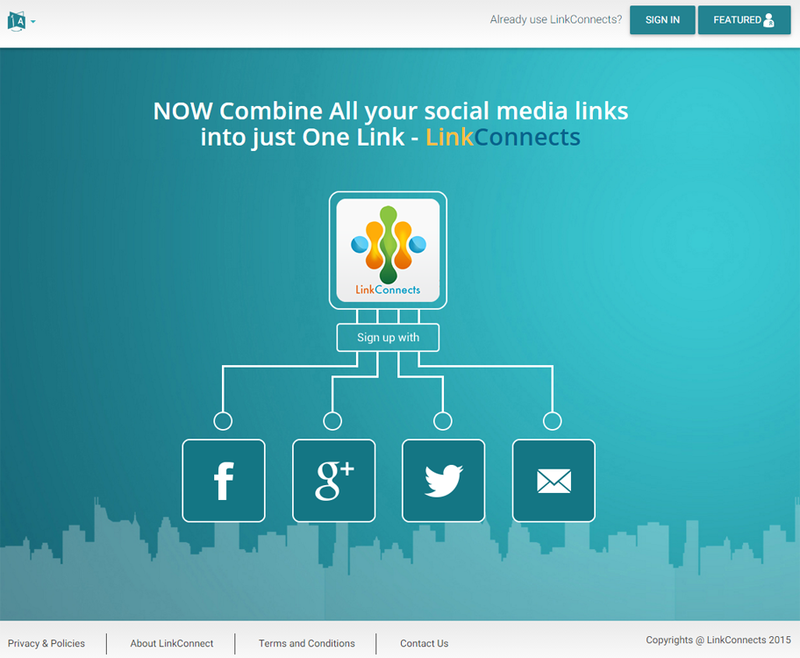 “Besides saving space, this method is also future proof in that we can add any new social media links in LinkConnects without having to change any of our marketing materials” says Hessa, a marketing Manager and a site user based out of Dubai.